What if every promise of Jesus came true in your life? Jesus made many astonishing promises to his followers. He promised to love us, to fill us with joy, to strengthen us, to give us peace and rest, and to prepare an eternal home for us. Would you like your life to be molded and shaped by these promises rather than by the broken promises of this world? 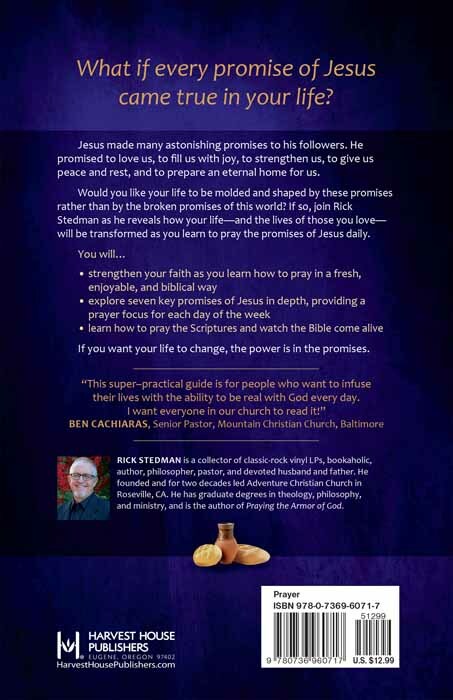 If so, join Rick Stedman as he reveals how your life—and the lives of those you love—will be transformed as you learn to pray the promises of Jesus daily. If you want your life to change, the power is in the promises. Dr. Rick Stedman is a collector of classic-rock vinyl LPs, bookaholic, author, pastor, and devoted husband and father. He founded and for two decades led Adventure Christian Church in Roseville, California. He has graduate degrees in theology, philosophy, and ministry, and is the author of Praying the Armor of God and Praying the Psalms. "Throughout Praying the Promises of Jesus can be found prayer examples, prayer pointers (pointers which provide tips on how to pray), and supporting Biblical scripture. There is also a constant theme concerning praying out loud, rather than silently. Praying the Promises of Jesus will help me to develop a more focused prayer life. 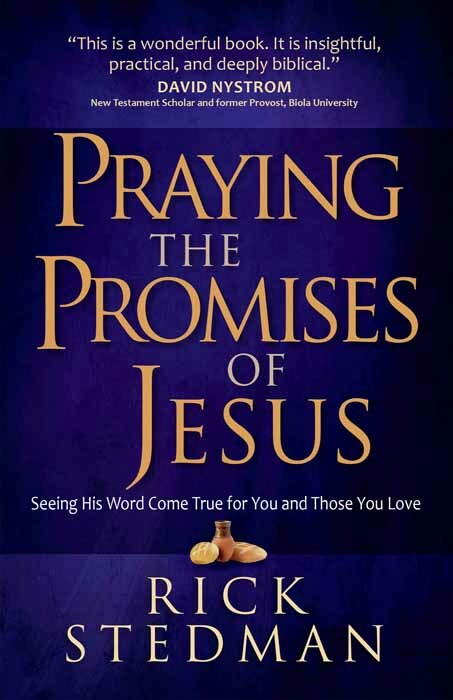 I recommend Praying the Promises of Jesus to readers experienced in praying and those who are new to prayer." "As you travel through the pages of this very insightful book you'll see the different promises Jesus made to us..."